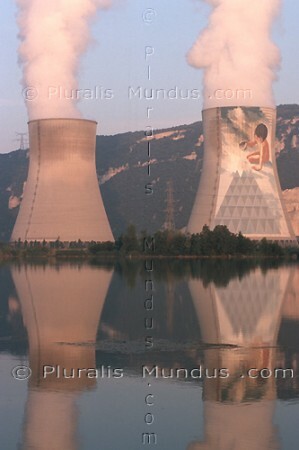 nucléaire : What am I doing here ? A CHAQUE FOIS QUE JE VAIS A MONTELIMAR CELA ME CHOQUE. SUR CETTE CENTRALE NUCLEAIRE ON A PEINT UN ENFANT QUI JOUE "AVEC LE FEU". EST-CE DE LA PROPAGANDE, DU CYNISME, DE LA PROVOCATION ?